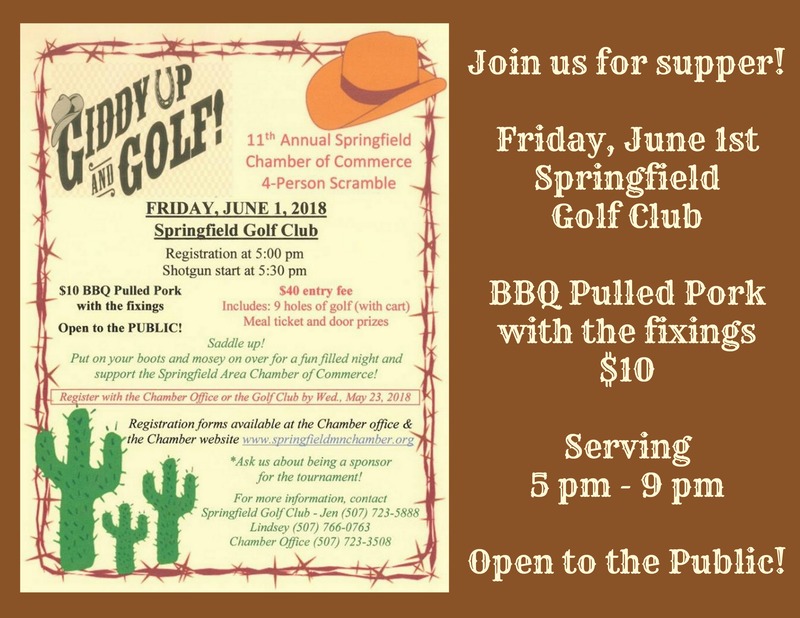 Join us on Friday, June 1st at the Springfield Golf Course for Pulled Pork with the fixings for $10! Serving 5 pm – 9 pm. OPEN TO THE PUBLIC! Take-outs available! Call the Springfield Golf Club at 723-5888 to place your order!